I’m wary of parachute-style coverage in which some journalists head into communities, often those that are under-served or under-represented in coverage. They can leave with superficial stories and the paternalistic view that journalists are better able to see a community’s issues than the people who’ve been living those issues for far longer. This is how we end up with news that people strapped for resources don’t find valuable enough to pay for. It’s only by including those people in our processes and serving their needs that news organizations can make the case for investing time or money to those who have little of either. Sarah Alvarez of Outlier Media disputes the misconception that low or no income audiences won’t spend or invest in news. “Low-income people do spend money. If they're not spending money on your product, that is about your product. It's not about them,” said Sarah, whose work I cover in the first post in this series. “If you aren’t serving them, then you are leaving their money, attention, and other forms of investment on the table. And, by the way, you're making conditions worse in your community,” she added. It’s that damage that has caused mistrust between newsrooms and underserved communities. Growing up, I scarcely saw a newspaper around our house. We really only had four uses for the paper: My mother had disappeared and we needed to check the police blotter for her name. A family friend or relative had passed and my grandmother wanted to save the obituary. My mother hadn’t disappeared and needed to scour the classifieds for odd jobs. I had made the honor roll at school and my grandmother would clip out the list for her scrapbook. Beyond that, there was nothing in that paper that would help us navigate our reality. I recently returned to the town near where I grew up and bought that same paper, more than 10 years later. Little has changed in it. There is still little content that speaks to anyone outside a narrow band of circumstances. What’s more, practices that were harmful then still continue to this day, including publishing the full name and approximate address of every person mentioned in the police blotter and courts section, a common practice in many newsrooms because it’s good for pageviews (but highly problematic, as Laura Hazard Owen wrote recently for Nieman Lab). Why would we pay for a product that not only performed no service for us, but also brought our family distress by using our pain as content that didn’t really serve any purpose other than helping to help sell more papers? Darryl Holliday and Bettina Chang are two of four co-founders of City Bureau, a civic media organization in Chicago (which, full disclosure, this project has studied and collaborated with to co-design their membership program with their members). City Bureau has been innovating as a news organization centered around community needs and providing journalism skills and tools: a valuable form of public education, as Alec Saelens has written for this project. City Bureau offers 10-week paid fellowships to early career journalists and a one-year paid reporting residency to experienced journalists. Every week, the team runs a Public Newsroom, where journalists and members of the public discuss current and important topics and learn how to report stories. Their most talked-about program is the Documenters Project, for which City Bureau recruits, trains, and pays members of the public to report on their communities. City Bureau’s Documenters program trains and pays its journalists, an approach that YR Media (formerly Youth Radio) also employs. Mike Rispoli, director of the Free Press’ News Voices project, said: “Newsrooms don't recognize the power that they hold. They don't understand the platform that they have. They don't understand the privilege that they have to be able to even write editorials and have a platform to talk about how their rights are being threatened when those things go on on a daily basis in the communities that they cover,” Mike said. In his City Bureau work, Darryl and his colleagues try to put community members to the center of these discussions and create pathways for their participation as storytellers and documenters of their own communities in Chicago. The longstanding view on who does and doesn’t get to “do” journalism stands in the way of many well-meaning newsrooms that practice traditionally despite the need to evolve. Whether it’s in hiring requirements that require journalism degrees, multiple internships, or a long legacy newsroom track record, news organizations are limiting the breadth of experience and perspectives that make it into the newsroom. One of the difficult realities for news startups seeking to do better by their communities is that, by being associated with journalism, they can be connected to historic harm and/or negligence that audience members may have experienced in their interactions with other news organizations. Mike from News Voices pointed to racial bias in general news coverage and patriarchal newsroom operations as forces that must be dealt with before progress is really possible. “There needs to be a recognition that those things have existed for a long time and continue to exist in subtle and not subtle ways. If a newsroom is serious about changing the relationship that they have with the community, they need to acknowledge that fact and to actively work against it,” Mike said. Jean Friedman-Rudovsky is the co-executive director of Resolve Philadelphia, which manages the collaboration Broke in Philly. The project consists of 21 newsrooms reporting on solutions to poverty and, more explicitly, economic justice and issues of economic mobility in Philadelphia. Broke in Philly is a collaborative journalism project between 21 newsrooms in Philadelphia. Answers to those questions have so far included paying greater attention to detail in the form of reporting guides, language guides, and a high touch feedback loop where project leaders are constantly soliciting input around the value and utility of the journalism that’s produced. This feedback loop is apparent in the focus of the stories produced, which avoid merely identifying a problem. This is a solutions journalism approach: reporting relevant examples and alternate options that are available to communities. Jean said that is “not just saying, this is what these people experience, but more along the lines of, ‘If you are experiencing this, these are the ways [to handle it].” The collaboration helps Resolve guard against perpetuating tropes that are common in coverage of people experiencing hardship, relying on stereotypes, and using blame-assigning language to tell the story. What became apparent to me in searching for newsrooms that are intentional about serving low-income communities is that there aren’t enough efforts in this space. That also means that there is a high unmet need for experimentation, innovation, and service when it comes to ensuring low income audiences are informed and included. As we continue examining this segment of membership, we’ll be looking for those efforts in journalism, yes, but also outside of journalism so that we might identify assemble roadmaps for this work. Empowered partnerships and membership programs feature people who respect and value the contributions that—in whatever forms they manifest—individuals and communities make in organizations. This requires respect for the complicated lived experiences of community members--and for the relationships between news organizations and their constituents, from the most disadvantaged to the most privileged. Legacy newsrooms and new organizations will co-exist in communities for a long time, each trying to find a way to serve and survive. 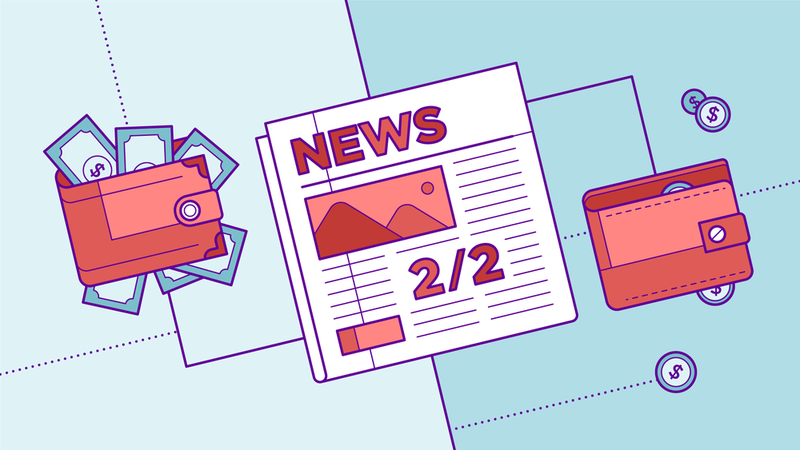 Regardless of their business models, newsrooms have far more to gain by being more inclusive of audience members and more thoughtful about how to cover issues that deeply affect them. Of the organizations I studied, most don't currently have a membership program. All are grappling with how to do the important work they’re undertaking for audience members who need and deserve it, pushing uphill against a history of newsroom harm or neglect, and trying to figure out the best combination of support systems. If newsrooms are to continue becoming more reliant on audience support, we need to foster the relationships and provide the journalism that makes such support possible. Low-income audience members deserve high quality journalism, and striving to serve them will strengthen news organizations’ products for everyone. How well do you cover public transit or city services like libraries? Does coverage of community businesses include more affordable options? How frequently do you run wire content that speak to issues that aren’t relatable or accessible, like labor stories oriented to white collar office jobs or new tech products? Low income audience members can and will support news products and newsrooms that provide utility for them. Support may not come in the form of traditional financial transactions, as there is less capacity for such investment, but there are under-explored opportunities for experimentation in which ways people could participate in value exchange. What opportunities are there for you to engage meaningfully with different community members to learn what kind of coverage would serve them? Have you created clear and accessible pathways for feedback that don’t rely on access to technology or the internet? Historically, newsrooms have neglected these audiences. Paths to earn their support of our news organizations will require acknowledging that harm and working to repair those relationships. Consider auditing your organization’s content over a period of time that will capture the tone and coverage of your product. Has your coverage perpetuated harmful stereotypes and tropes? Is there a way that you can acknowledge that and seek input and feedback? Empowering communities to have agency in coverage about their community and to be a part of telling their own stories is an essential part of such restoration. It’s also compatible with journalism’s public interest mission. What are the opportunities to collaborate with members of the community on issues of importance to them and the broader community? Emily Goligoski, Ariel Zirulnick, David van Zeggeren, Jessica Best, and Lukas Kouwets contributed to this post.